You, or someone you love, has something special to look forward to, a new little man in your life. 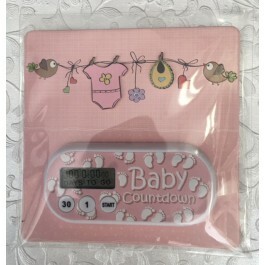 So let's count down the days with this adorable countdown clock. 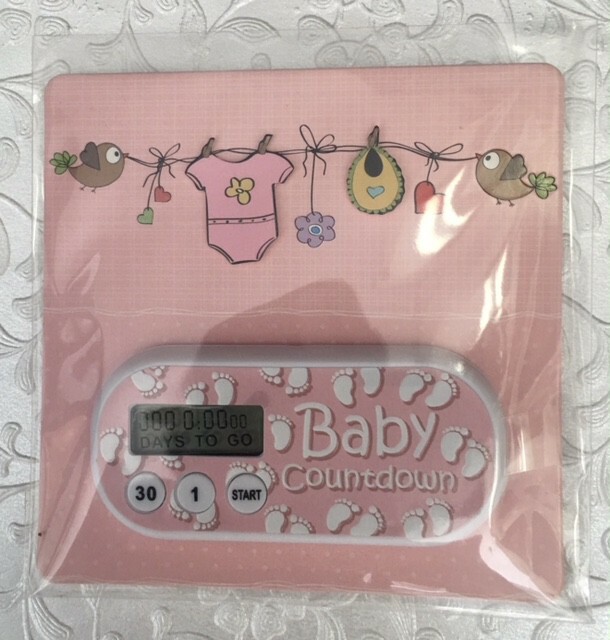 It's perfect to stick on your fridge, file cabinet or stand on your desk and start counting down the days for the new arrival! Reasonably priced so every one in the family or your group can have the fun of anticipation. An excellent gift for grandparents too! Don't forget to see our other gifts for the new dad or new mom, and grandparents in our baby shower section. Easy to program. Battery included Measures 3.75" x 3.75"